Liminka municipality, situated in Northern Finland, 25 km south from the city of Oulu, is famous for its birds and culture. 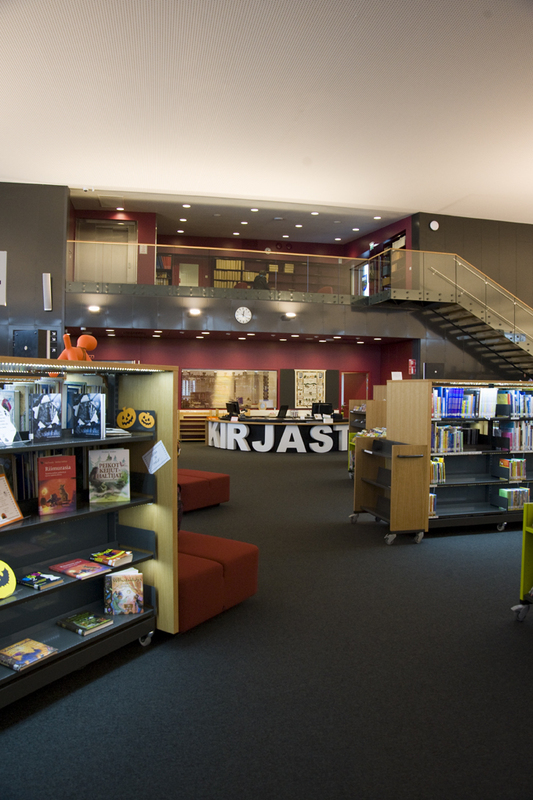 The new library is situated in between of the modern municipality center and the historically valued Old Liminka. 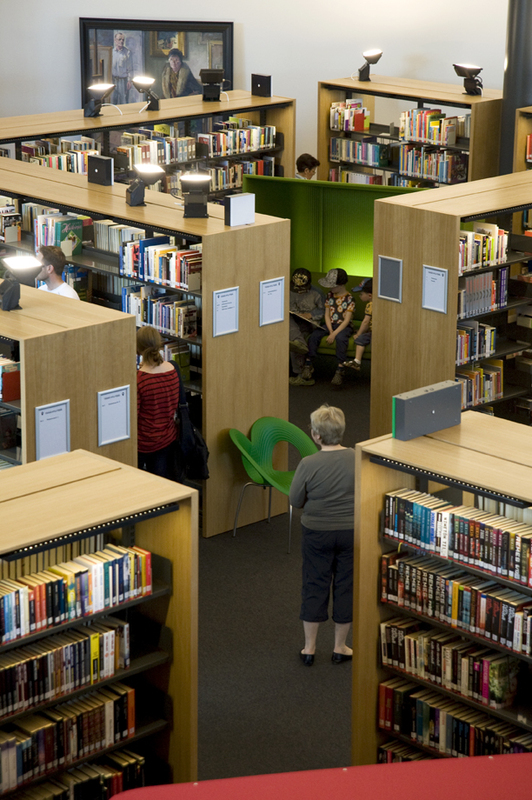 The library consists of three separate pars. The library hall a is an open space formed in the V-shape similar to the group of flying swans. The head of this wedge is welcoming visitors into municipality centre. On the other end, the glass wall entrance is an open invitation to all the customers. On top of the wedge there is a big wing shaped roof. The winter in Northern Finland is long and dark and the thoroughly indirectly lighted wing looks like it is going to take off in the winter evening. 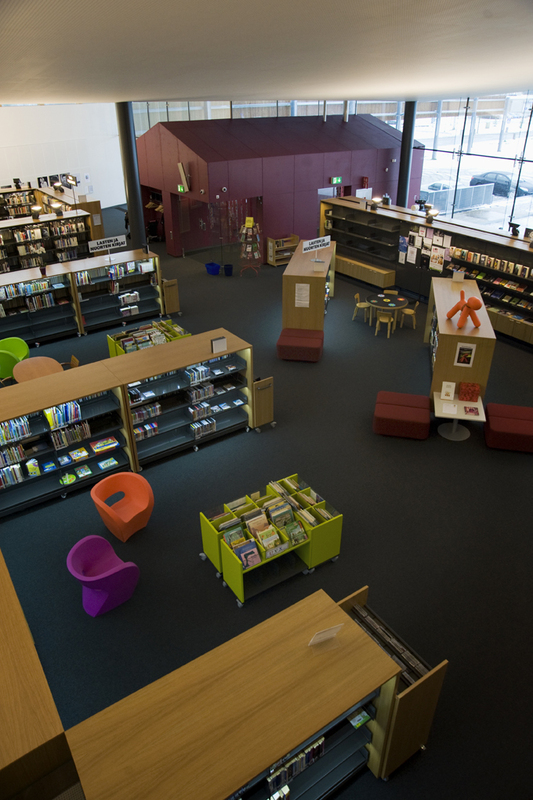 The library staff premises are situated in two floors on the side of the wedge. The entrance and the children’s department remind field sheds that are common in rural communities. The arms of the wedge reach out from the inside to an open market space for all people. 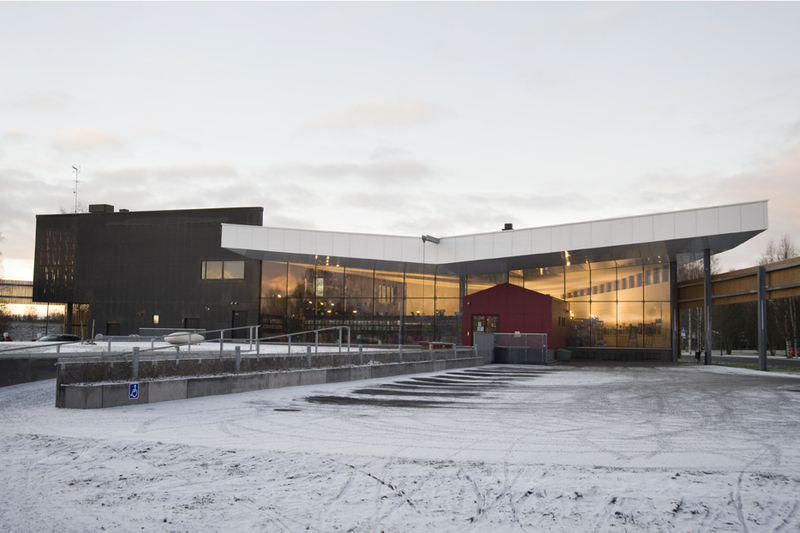 As a space Liminka Public Library is planned to be a highly versatile culture house.